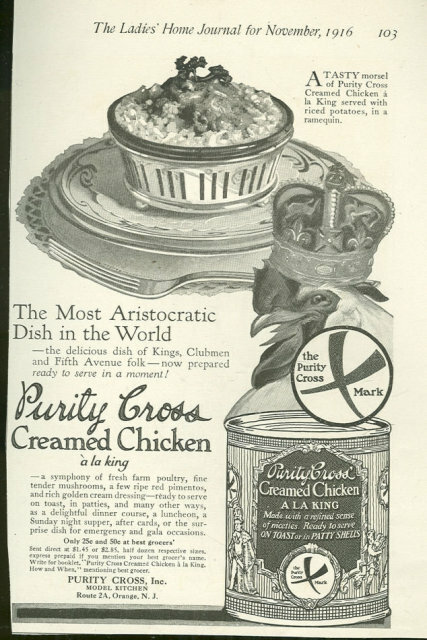 1916 Ladies Home Journal Purity Cross Creamed Chicken a La King Magazine Advertisement. 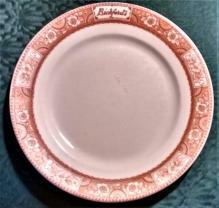 The Most Aristocractic Dish in the World. Served with Riced Potatoes in a Ramequin. 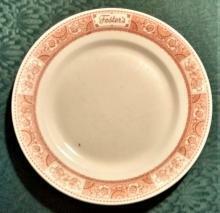 Ad is 7 1/2" high and 5" wide. 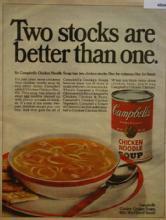 Advertisement is in very good condition, suitable for framing. Items Similar To "Purity Cross Canned Creamed Chicken 1916 Advertisement"